The narrator of Xue Yiwei’s novel is a Chinese historian living in Montreal – Bethune’s city of origin. This is just one of the connections – historical, political, incidental, imagined – that link the two men. Framed as chatty, informative letters to Bethune, the story is told as fragmented memories of the narrator’s childhood and married life in China, and his current life in present-day Montreal. Two neighbours serve as handy plot devices – socialist Bob, who lionizes Bethune, and the separatist Claude, hater of all things anglo. The narrator listens to the naive opinions of these Sinophiles and uses them to extrapolate the Chinese worldview for the reader. There’s one incident, utterly alien to the modern western reader, in which a teacher locks some students in their classroom to study and then goes home, forgetting to release them. When the teacher is tracked down, she does not apologize, instead blaming the children for wasting her time. The parents tell the children they should be ashamed of themselves, and praise the teacher. The novel deliberately recounts such moments from a child’s perspective. In a later memory, the narrator’s friend Yangyang accidentally smashes his mother’s statuette of Mao. His mother berates him angrily, yelling, “This is a counter-revolutionary act!” She buys a portrait of Mao to replace it and orders Yangyang to beg forgiveness. Later that night, unseen, Yangyang witnesses his mother hammer the broken statuette fragments into dust. He never discovers whether she does this out of fear or hate. The moment is one of a very few when an adult’s guard slips. For the most part the reader, along with the children, has to take the propaganda more or less at face value. Connections are drawn in all sorts of ways: 1989 is a significant year in both Chinese history (Tiananmen Square) and Montreal history (the massacre at École Polytechnique), and these events are also deeply significant in the characters’ lives. The narrator and the famous doctor are thematically linked by their loneliness. Bethune’s time in China was isolated – he wrote many letters and received only a few in return. The narrator, unable to find another soulmate after his wife’s death, lives alone. 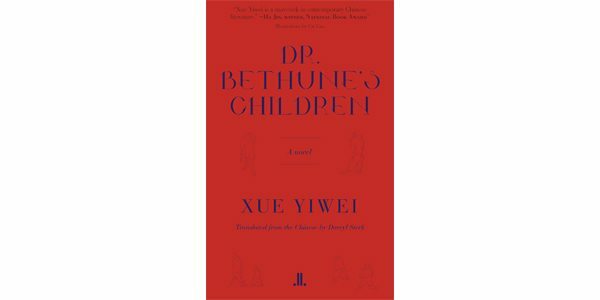 Dr. Bethune’s Children combines history, politics, unexpected perspectives, stories of love and loss, and multiple minor collisions between East and West. Cramming all these disparate elements into one book does not always run smoothly, and occasionally the telling is overly didactic, but the structure is not as random as its fragmentary style might suggest, and Yiwei ends by pulling the story’s different parts together.